I haven't been able to discover what controls the creation of the date and time stamp on the saved graph of the RTA. When I save a spectrum measurement as a JPEG I have sometimes had the date and time added, but recently the box is greyed out and I just see "no measurement". I'm running REW 5,19 on Windows XP. What did I miss? A picture would help explain what you are referring to. Otherwise may want to update to the latest V5.20 beta version. 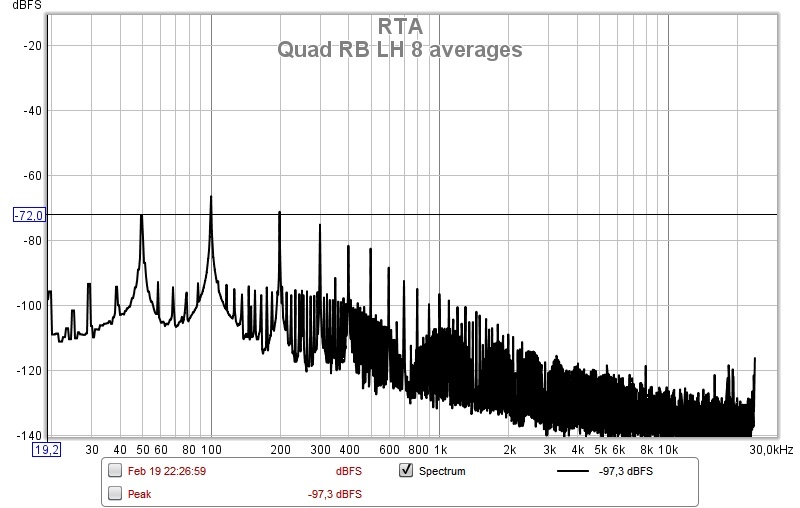 Of course, the first graph (of hum and noise from a Quad 405 amplifier) is dated Feb 19 (bottom left). The second graph (after replacement of defective capacitors) was recorded on 2nd April, but there is no date stamp; the area is greyed out and it reads "no measurement". The first trace in the legend is the measurement that is currently selected in the main REW window, if there is one. If there isn't a measurement it says so. What I discovered yesterday, more by luck than judgement, was: When a measurement has been saved (SAVE button on the RTA or a swept-sine measurement) then the date stamp window in the RTA view is activated with today's date and the current time. Clicking on the camera icon saved me a JPEG of the RTA current view, but with the date stamp of the last-saved measurement. 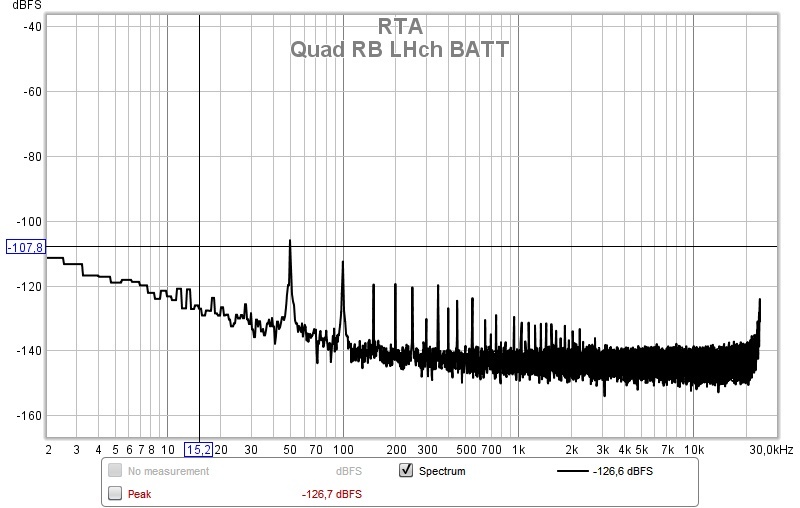 Since I had been making swept-sine measurements and then shortly afterwards using the RTA and saving the view with the camera icon I was getting date stamps on the RTA JPEGs which were close to the correct time, but not exact. None of this was clear to me from the HELP file. My ideal would be a JPEG with the camera icon of the RTA view which records the real time, but this may not be possible. I've added an option to include a timestamp on graph captures for the next beta release. Excellent! That's a really useful outcome from this exchange. Thank you. I look forward to the next beta version.